Welcome to one of fifty-nine pages of required reading/filling out for my monkey to go to high school. 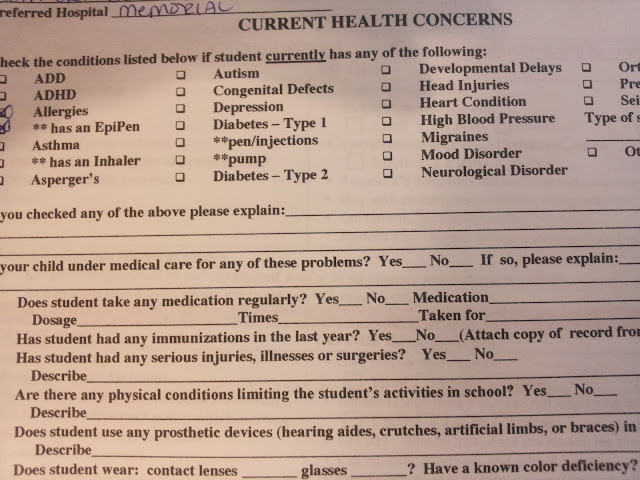 Whoever created these forms OBVIOUSLY neither had a teenager nor a sense of humor. Because if they did, they would know that putting "ADD, ADHD, Depression, Mood Disorder, and Neurological Disorder" on said form is almost comic relief. Yes, Yes, Yes, Yes, OHELLYES, and Yes. With a big fat helping of Yes.